Once again Shiv Sena took a dig at PM Modi and BJP as a whole over the terror attack on Amarnath pilgrims. 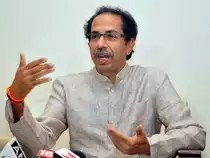 Shiv Sena president Uddhav Thackeray on Tuesday asking BJP to send ‘gau rakshaks’ to face terrorists in Kashmir, where a bus carrying Amarnath pilgrims came under a horrific attack on Monday evening. “They (the BJP) used to say that do not bring sports, culture etc. in the political issues. Today, religion and politics came together in the form of the terror attack. Should we understand that none of those terrorists would have been alive today if they had the cow meat in their bags than weapons?” He said. “The issue of ‘gau rakshaks’ is raging today. Why don’t you send these cow vigilantes to face terrorists?” He said. The Sena was taking a swipe at Prime Minister Narendra Modi over his remark during the general elections campign that a “56-inch chest” was needed to tackle Pakistan. Shiv Sena remarks came over terror attack on Amarnath pilgrims where seven, including six women, were killed and 19 got injured Anantnag district last evening. While five of the deceased hailed from neighbouring Gujarat, two were from Maharashtra. The attack was reportedly masterminded by a Pakistan-based militant leader. Shiv sena also said, through an editorial in party mouthpiece ‘Saamana’ that, Center’s response was only made on social networking site Twitter. “Who has the courage to stop these inhuman attacks today? How will you fight terrorists by only expressing sympathies or condemning the attacks on paper?” it asked.